Welcome, members of the phorum! This thread will be my connection to all you lovely phorumers for you to request items/gear/stuff/etc. This is the section for the regular giveaway. If you are interested in a 5/5 IB set, click here. - You may request up to 2 items per week. Week starts from your last request. - Leave the IGN that you wish for the item(s) to be sent to. I am not liable for misspelled or incorrect IGNs. - Be specific on which item you want. If there is a +1 and a +3, for example, tell me which one you want, otherwise I am giving you the lower enhancement one. - First come, first served. Please read back a page or two to ensure no one else has requested your item in the event I haven't updated the list, yet. - Make sure you have room in your mailbox to receive the items. If you do not have room when I attempt to send your items, your request will be closed and you have to wait a week for your next one. - Requests for items I do not have, have already been requested, and more than 2 will be ignored. - If you have requested an item that was requested by someone else and another item that has not been asked for, I will send you what hasn't been requested. - In the above event, you do NOT get credit towards the item you missed. You will have to wait for the next week to make another request for 2 items. - Leave baggage at the door. Period. Seeing as how I have a ton of leftover old enhancement stones I'd like to put them to use. I will be using them to enhance the items I am giving away at random. However, if you would like me to enhance your request for you, I will prioritize it. I can guarantee at least +4 enhancement level to a max of +6. Let me know in your request if you would like me to enhance your items. Thank you! I myself need a few things every now and then. Below is where I will list items that I am currently hunting for in-game. Don't worry, it's nothing like IB pieces or anything, just cheap materials that peeps overcharge for on the board. I really appreciate any kind of donation towards the below items. Please send donations to GirgeFE. Thank you! That's right, I am still doing this. This is probably my favorite activity to do on this game. It's probably the only reason I even bother with the market. Anyways, as I have done in previous events, this event will be restricted to the phorum only, so if someone in-game wants in, they need to meet my requirements on the phorum to participate. - You CANNOT reserve a spot in the giveaway before it starts. You may begin reserving your spots after the giveaway kicks off. - ONLY 1 entry per participant. Any duplicate entries from the same person will result in their disqualification. 1. Join date must be BEFORE 4/1/2016. Date subject to change based on release date of prize. 2. Post count must be 50 or more. Only post count of participating account are considered. 3. Posts contributing to post count MUST be constructive. "Bump" is not constructive. - You may only enter the giveaway by posting on the thread. PM and in game entries are not permitted. - NO USING ALTERNATE ACCOUNTS to increase your chances. If I even THINK someone is doing this the giveaway will close. - On your entries, leave ALL OF YOUR IGNs. This includes inactive IGNs and IGNs on separate accounts if you have them. No exceptions. - The set being given away is NOT for sale and there is NO b/o or anything of the sort for it. Trying to buy the set off me will result in disqualification from the contest. - There is to be no bad talking or the like on the thread, through PMs or in game. Any such actions will result in the offender being barred from future participation and disqualification from the current event. - If there are not enough entries by the deadline, the giveaway will close without a winner being drawn. Gold stars will still be raffled for an extra prize. - Winner must acknowledge their victory within 48 hours of my announcing it ON MY THREAD. If you do not respond within 24 hours, I will send you a PM. If you still do not respond on my thread after another 24 hours, you will not get your prize and the drawing will restart without you. If you will be away during the announcement, tell me here on the thread before hand so I know and I will give you a grace period that is determined on a case by case basis. The post below is the current 5/5 IB giveaway requirements. Please post or PM me questions if you have any. Thanks! Welcome to Velder Academy, Home of the Knights! As you step through these hallowed doors, you will become a part of a prestigious community of students that strive for excellence every day. As a Knight, you will join your fellow students and comrades throughout your studies in cooperation and academic competition. A Knight learns how to better themselves every day, and at Velder Academy you will, too. Our students place honor, discipline and integrity above all else, and nothing makes the staff here any more proud. Our graduates consistently place into highly successful careers or into top post-graduate programs across Elrios. The pride of a lord are their knights. The pride of our academy is our Knights. Sally forth, and become something greater than before! Add has defaced the mascot of Velder Academy! He was recently expelled from the Academy when he blew up the physics lab. Now he's out for revenge, and he wants your help to do it. And he is offering something pretty tempting; the clothes off his back! Well, not literally, that'd be weird. But he is offering his uniform, the 5/5 Velder Academy Knight set, complete with his hat! - Come up with a new mascot for Velder Academy and give your reasons for picking it. Or try to convince him that the Knight should remain as Velder Academy's mascot. Your reasoning must be at least one paragraph long, 3-4 sentences. Who knows, maybe you'll change his mind. Probably won't, but might as well try. - Post a video of a drum cadence to go with your new mascot. Add likes hearing the beat of the drum, reminds him of explosions. - Share your reason for wanting the set. Do you wish to sell it? Wear it? Hang it in your closet cause you have a fetish for school uniforms? I won't judge. Well, Add might. I won't, I promise. - The deadline for entries will be July 23, 2017 @ 11:59 PM PST. Any entries entered after this date will NOT be considered; He's got to focus on trying to get into Hamel Academy. - For GOLD STARS: Come up with an anthem to go with your new mascot. Or, if you chose to stick with the Knight, make up a new anthem for it, because he defaced that, too. And badly enough that it cannot be shown on a public forum. The anthem must be forum appropriate and 10 lines long (Refer to other irl anthems for line length requirements). I am giving out the gold stars btw, Add thinks they're lame, but that was another reason he was kicked out of VA.
And that's it! Get these in your post, and you got a shot at winning Add's 5/5 Velder Academy Knight set! Now go out there and be delinquents with him! Or be a stickler, goody-two-shoes, etc. Good luck! So I'm going to add a little somethingsomething for the Add VAK 5/5 giveaway. If you are attending AX, seek me out. I will be wearing a black KOG Games shirt and carrying around a red Force of Will bag. If you find me and give me your IGN list, I will enter you into the drawing for the IB contest with a gold star, regardless of account viability! In other words, find me irl and you get a free entry even if you made the account yesterday and do not have enough meaningful posts. However, I still require your ENTIRE IGN list. So if you make an alternate account, you still have to give me ALL of your IGNs, even if they are on separate accounts. If you were only attending Day 1, take a photo of your Saturday pass, tell me what your favorite event/booth at AX 2017 was, and then you get an entry with a gold star! 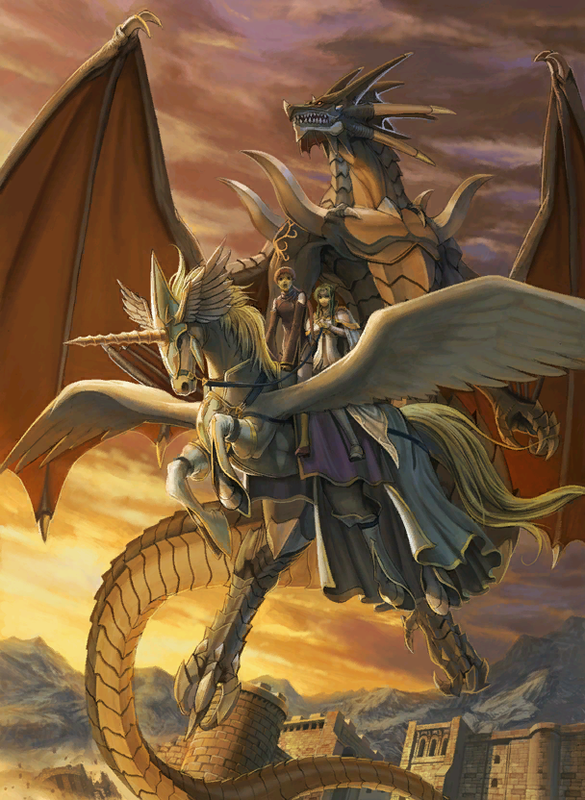 Disclaimer: This is a CG image from Fire Emblem Radiant Dawn. I do not own this image or the game. Still working on the details for the IB giveaway, but they will be done before MF cycles out. In the meantime, please do NOT make reservations for the event. Please wait until I have gotten everything up and running. Thank you.